The baking fever is back! All the upcoming birthdays are keeping my hands busier than ever. Today’s post is dedicated to my beloved Daddy because it’s his birthday. It’s his Birthday! He loves cakes, chocolates and desserts. Basically anything sweet. Like Father like daughter! 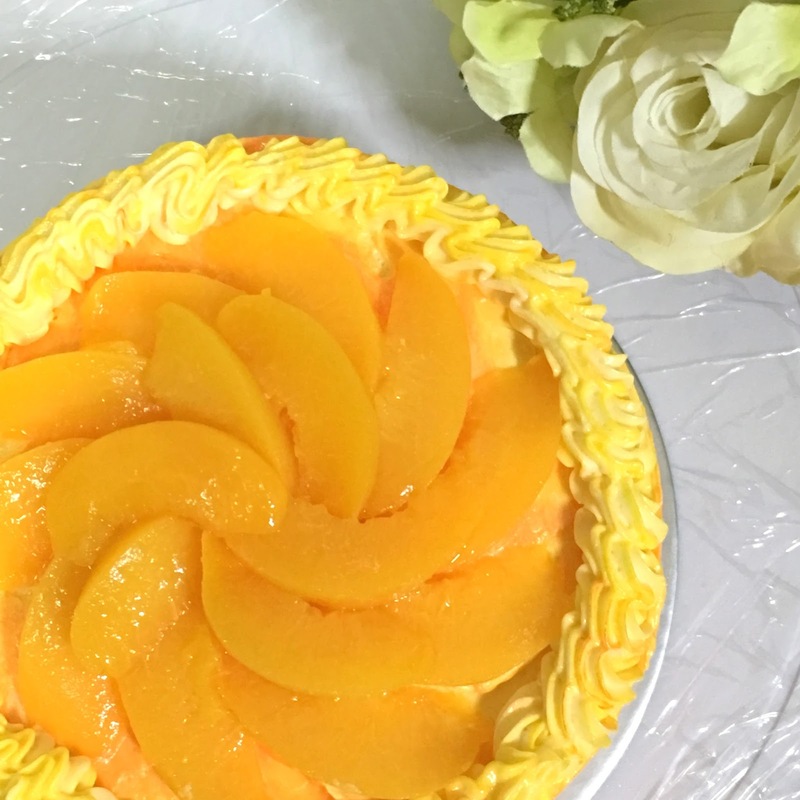 Because he loves cheesecake, I decided to do a cheese chiffon cake that is not too sweet. 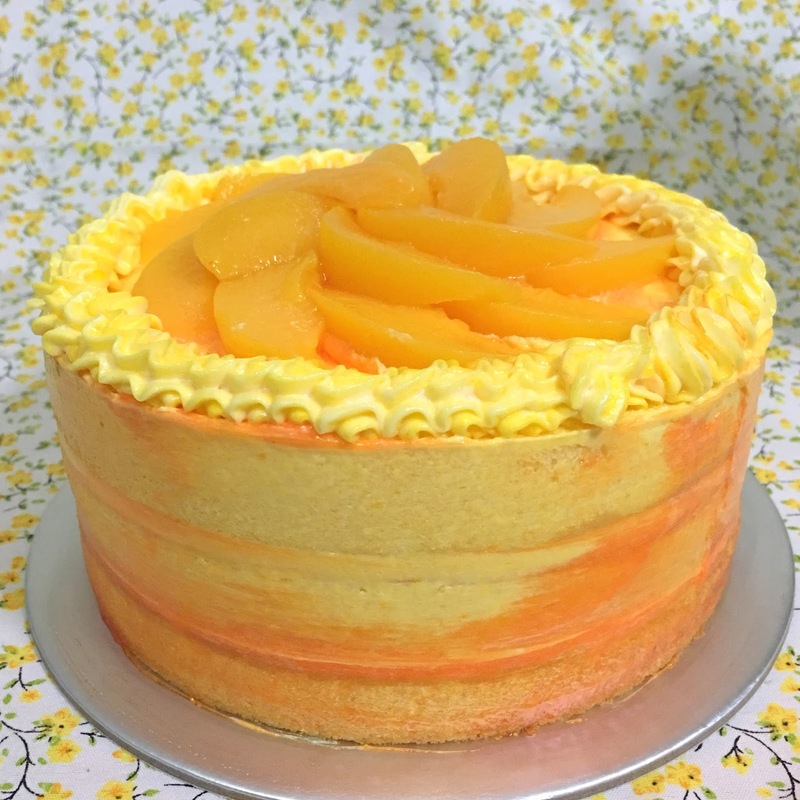 I paired this cake with a luscious yuzu passionfruit buttercream frosting and peaches. We used to drink a lot of the yuzu peel fresh juice so I thought it was a perfect time to include yuzu as part of the baking experiment. I decided to add some passionfruit lime preserve from GSH for a tangy twist. ( Thanks to my so thoughtful friend who bought me this mini jar of goodness). It’s really good by the way. It goes well with toast but for me I rather eat it from a spoon. So this cheese chiffon recipe was meant to be baked in one tin but in order to cut back the baking time, I decided to separate the batter into 3 similar tins and of course it works. So next time do give it a try. 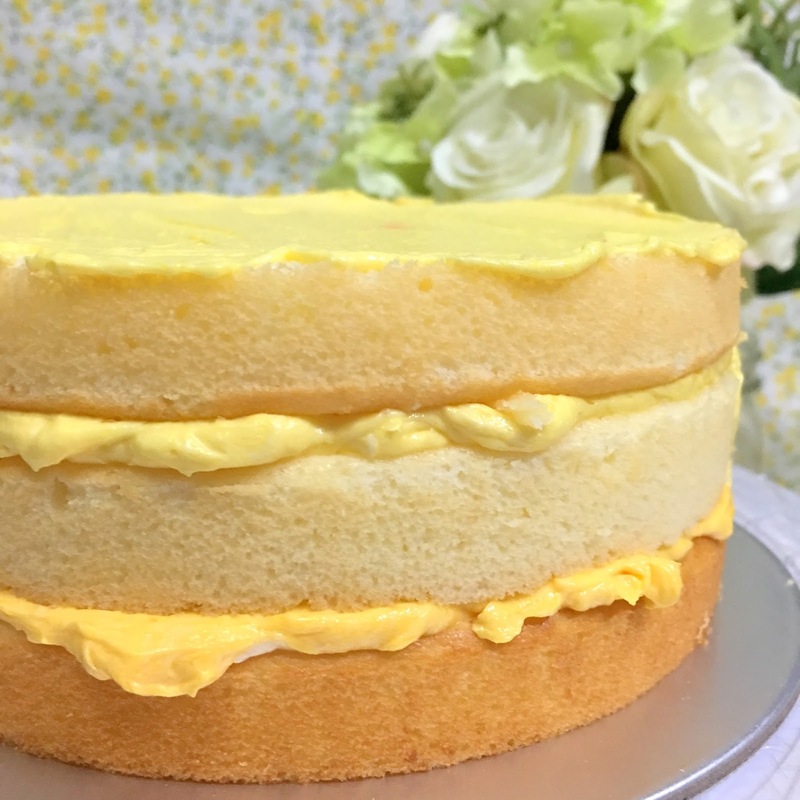 To assemble the cake, place one layer of your cake on your cake board, frost an even layer of yuzu passion buttercream on top, Repeat this one more time with cake and buttercream followed by your last layer of cake. If you want a little ooohhh and wows to your cake, you can color your frosting different shades to get that ombre sunset yellow. I use wilton’s edible gel in gold, lemon yellow and sunset orange. 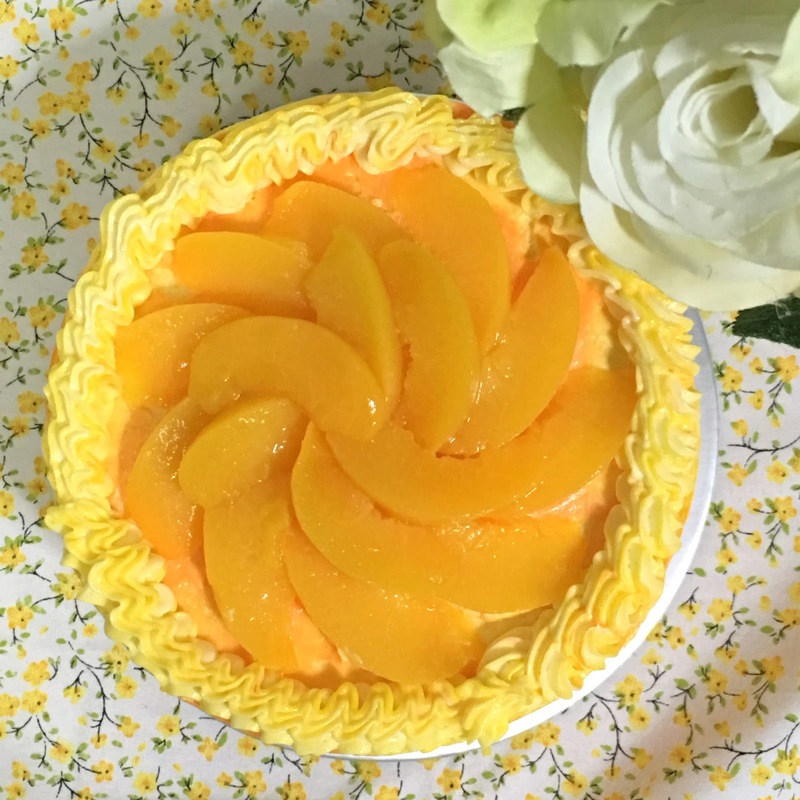 Top them with some peaches as décor and pipe the border of the cake. 6) In another bowl, beat the egg whites until foamy, then add in 1/3 sugar at a time and beat until glossy firm peak. 7) Add egg white batter 1/3 at a time to the egg yolk mixture and gently fold till combined. Pour into three 6′ circle pans and bake for 15 min at preheated oven of 170deg celcius. 6) Drizzle yuzu syrup and passionfruit conserve and mix until well combined.